In this book, Stephanie J. Shaw brings a new understanding to one of the great documents of American and black history. While most scholarly discussions of The Souls of Black Folk focus on the veils, the color line, double consciousness, or Booker T. Washington, Shaw reads Du Bois' book as a profoundly nuanced interpretation of the souls of black Americans at the turn of the twentieth century. Dem… onstrating the importance of the work as a sociohistorical study of black life in America through the turn of the twentieth century and offering new ways of thinking about many of the topics introduced in Souls, Shaw charts Du Bois' successful appropriation of Hegelian idealism in order to add America, the nineteenth century, and black people to the historical narrative in Hegel's philosophy of history. 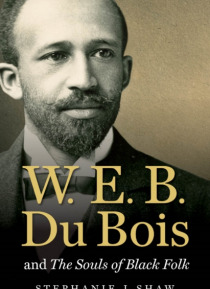 Shaw adopts Du Bois' point of view to delve into the social, cultural, political, and intellectual milieus that helped to create The Souls of Black Folk.